It’s normal to feel uneasy when someone you care about, whether a parent, spouse, sibling, or other loved one, can no longer live safely on his or her own. If you are no longer able to provide the care that your family member needs, know that they will be in compassionate, caring hands with the professional nursing staff at The Manor. We can give them the assistance they need while keeping them close to the ones who matter most — you and your family. We cater to seniors in all stages of retirement and offer a variety of living options to suit their needs. If your loved one is ready to retire and give up the hassles of owning a home while remaining self-sufficient, consider our Independent Living apartments or Asbury Village, a community of standalone patio homes. 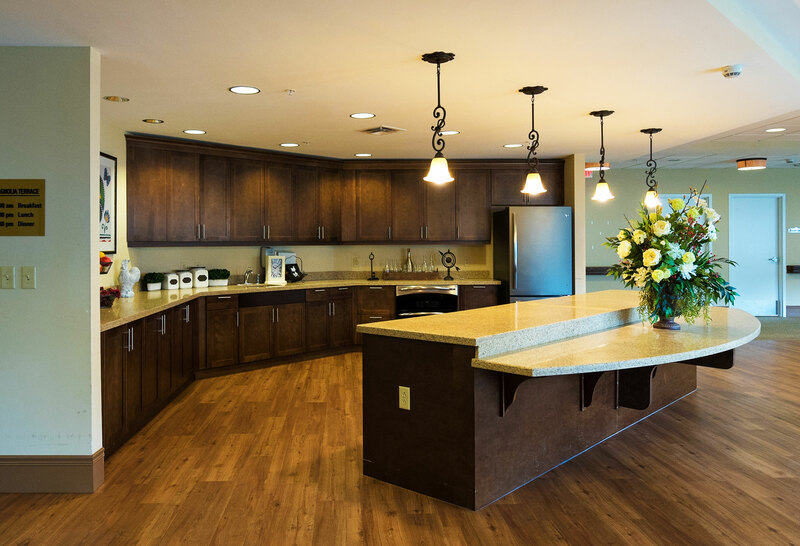 Our Assisted Living community, Wesleyan Suites, caters to those who need daily support, ranging from minimal assistance to constant care and hands-on help with all activities. 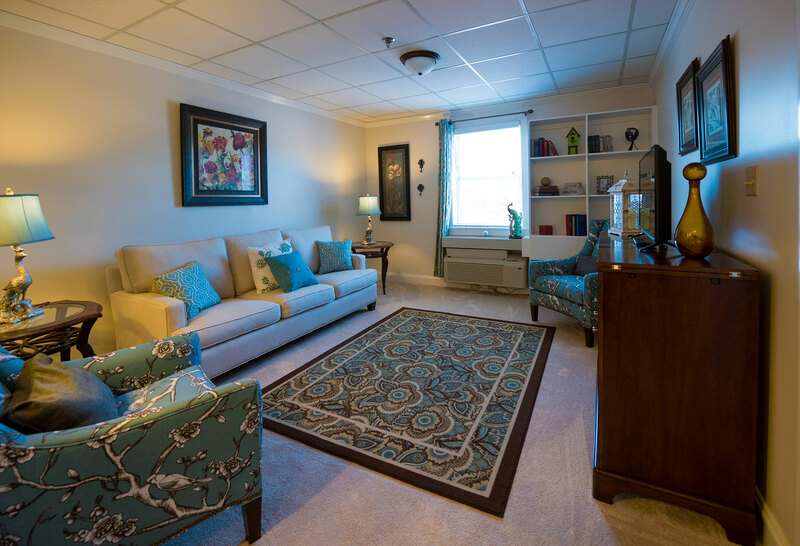 We also have a special Memory Care community, Magnolia Terrace, for those with progressive memory conditions such as Alzheimer’s or dementia. Our residents have 24-hour access to top-of-the-line health care without ever having to travel. We offer a choice of Independent Living in our patio homes and various-sized apartments for those who can enjoy life on their own terms, and varying levels of Assisted Living for those who need extra help with activities of daily living (ADLs). We also have skilled nursing care for our residents who want to know that they have secured any future needs that may arise in their various stages of life. In addition to the varying levels of daily care we deliver for each resident based on his or her needs, we also provide a full spectrum of health services in our on-site medical clinic and rehabilitation services in our on-site Catalyst Rehab facility. Whether your loved one needs primary care, treatment of an acute illness, or help managing a chronic illness, our caring medical staff will treat all ailments with the latest health technologies and practices. We also provide restorative therapy services, including physical, speech, and occupational therapy, to help residents manage and recover from limitations and disabilities caused by an injury or illness. Our empathetic staff cares for the whole person and will provide emotional, social, and physical support as we help your loved one down the path to recovery. We take on all the worries of owning a home so our residents can live comfortably and focus on what they really want to do — relax, spend time with friends and family, and enjoy hobbies they never had time for until retirement. All The Manor residents enjoy the benefits of our services and amenities, home and lawn maintenance, common areas, weekly housekeeping and flat laundry services (more often upon request), paid utilities (excluding phone and cable), pest and termite control, scheduled courtesy transportation, 24-hour staffing, and emergency response system. Your loved one will look forward to every meal with us, as our renowned Chef LeVance McIver and his staff create gourmet meals for a delicious and elegant dining experience. With over 60 different choices daily, we have something for everyone—our restaurant-style, cooked-to-order meals are guaranteed to meet all wants and needs, including dietary restrictions. Those who love to cook can still do so in their Independent Living spaces, but dining services are always available. Our fully loaded calendar of events has something for all interests and activity levels. Residents have a host of recreation and entertainment events to choose from, including hobby workshops, learning opportunities, religious studies, and cultural programs. We offer worship services and events, exercise classes, shopping excursions, music lessons, and other relaxing indoor and outdoor activities to keep our residents in shape, informed, and engaged. Come by to see our beautiful campus and meet our compassionate staff for yourself. Call today to schedule a tour and put your mind at ease knowing that your loved one will be comfortable and cared for by kind — and capable — hands.